By James Slater: Moments ago in Australia, an exciting fight came to a dramatic end; as defending World Boxing Council (WBC) cruiserweight champ Krzysztof Wlodarczyk of Poland came from behind to stop local hero Danny Green in the 11th-round. Going into the 11th-round, the defending champ must have known he was behind and he unleashed some powerful shots. A right hand staggered Green and sent him stumbling, and then a sizzling left hook sent Green clean through the ropes. The 38-year-old bravely beat the count but was deemed unfit to carry on by referee Michael Griffin. The official time was 2 minutes and 15-seconds of the 11th. 30-year-old Wlodarczyk is now46-2-1(33). 38-year-old Green, who was coming off a stoppage loss to Antonio Tarver, also in Australia, is now 31-5(27). Green could well be kicking himself right now. Boxing well and seeming to subdue the defending champ, Green looked to have suffered no ill effects from the Tarver defeat. In great physical condition, “The Green Machine” was boxing one of his best-ever fights. But the Pole was biding his time (even though he came close to leaving it too late before scoring the fight-saving finish) and Wlodarczyk’s underrated punching power got the job done in fine style. Green apparently lost a tooth during the final seconds of battle. Wlodarczyk, beaten only on points by Steve Cunningham and, way back in 2003, Pavel Melkomyan (in a TD defeat) can now look ahead to some bigger fights; hopefully of the unification variety. Imagine how intriguing a Wlodarczyk-Marco Huck fight would be? One of modern day boxing’s best fighters to have come out of Australia, Green sure can hold his head up high if he does walk away now. 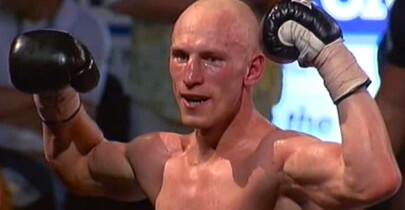 Is Wlodarczyk the best cruiserweight in the world, as Green suggests? There is only one way to find out: with fights between the Pole and the aforementioned Huck, Cunningham (in a rematch), Denis Lebedev, Yoan Pablo Hernandez and maybe Tarver.